Our mission at Falmouth Physical Therapy is to offer the best quality, hands-on physical therapy techniques available. Our highly educated staff offers various specialties to the community in a family-like setting. We believe patients benefit from continuity of care, so treatments are rendered by the evaluating physical therapist and one assistant who is in direct communication with the principle physical therapist. Individual treatments are rendered in our private treatment rooms on a one-on-one basis. Community involvement is often undertaken by our staff. We offer sports performance training for several local teams and athletic training for all varsity sports at Falmouth Academy. Gus Adams works hand in hand with the Cape Cod Swim Club, training many of the elite swimmers, as well as injury prevention in the throwing athlete, both at the high school and collegiate levels. We also participate in the Cape Cod Marathon Massage Group in October. Finally, we have been involved in various lectures within the community and participate in Falmouth High School’s “Career Day”, an informative presentation for the junior class about careers in physical therapy. Falmouth Physical Therapy treats a variety of diagnoses, including orthopedic (musculoskeletal), neurological, pediatric, sports injuries, and gait dysfunctions. Our physical therapists offer specialties as well, including manual therapy techniques, video gait and running analysis, the Graston technique. 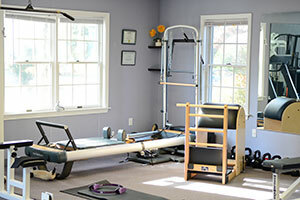 We also offer Pilates Reformer, and Mat private sessions. 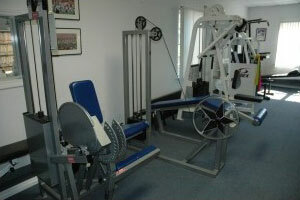 Personal training is also offered. We offer custom foot orthotics at a very affordable price. Falmouth Physical Therapy accepts most insurance plans, including workman’s compensation claims and motor vehicle accidents, while our services are also available on a self-pay basis. Patients are encouraged to contact us to determine if their insurance plan is accepted.